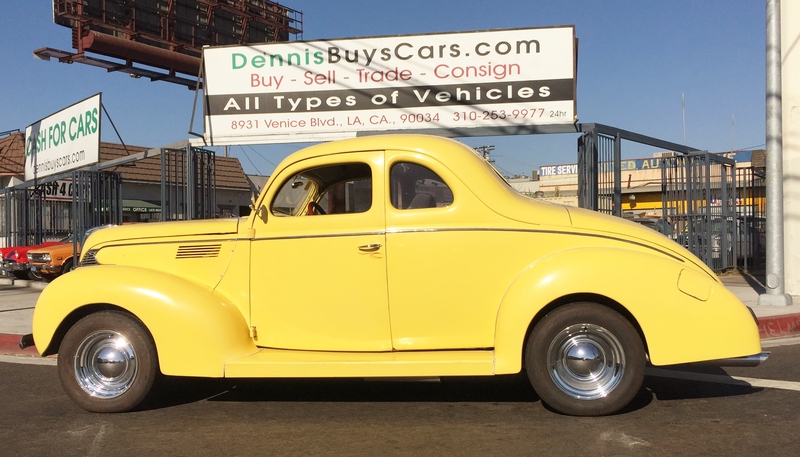 Dennis Buys Classic Cars is pleased to offer this 1939 Ford Standard Coupe. 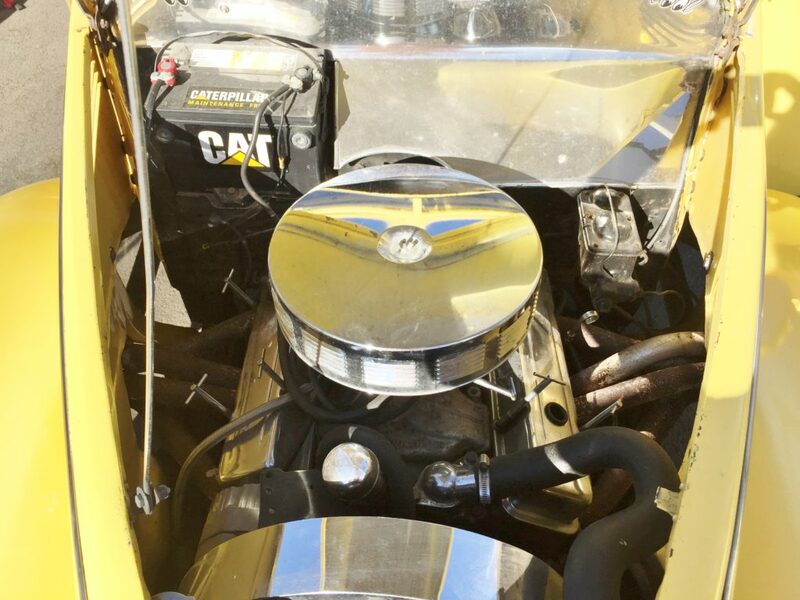 This is the body style that is highly sought after by hot rod and custom builders. Take a Ferrari or Rolls Royce out for a drive and nobody cares. Take this baby out and in five minutes you will have waves, smiles and thumbs up wherever you go. This car was purchased from the surviving widow of the husband who built it. It is an older restoration that is not perfect by any means but has a super straight body, runs, steers and shifts great. It has no rust that I can find. The paint is driver quality with some blemishes, minor peeling and imperfections here and there. All doors and seals line up great. This car has no evidence of any major accident. It is equipped with a reliable Chevy 350 V8 , Automatic and power steering. It has non power front disc brakes in the front and drums in the rear. I am not an expert but it appears to have a Ford 9″ rear. Have clean title in hand. Buy an investment that you can drive and enjoy exactly the way it is or bring it to the next level!